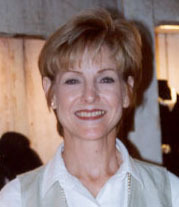 Connie Nobles, current president of the Texas Horsemen's Benevolent and Protective Association (THBPA) and chairperson of the Texas Horsemen's Partnership (THP), and K.C. Carden have been re-elected to the THBPA Board of Directors for another three-year term. TQHA and AQHA past president Jerry Windham was also elected to the Board of Directors for the THBPA. The board is expected to meet in a couple of weeks to install the new directors and elect officers for the coming year. "I am honored to be re-elected by the horsemen, and I look forward to working with the new board," stated Nobles. She continued, "2001 was a challenging year for our industry, but I expect good things for Texas horse racing next year."